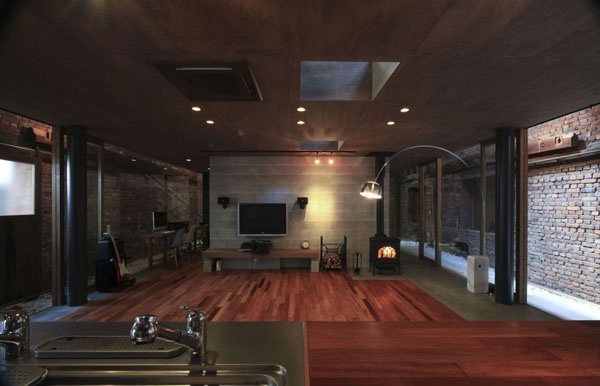 Now we are going to amaze you with this fashionable home built in Hiroshima, Japan. 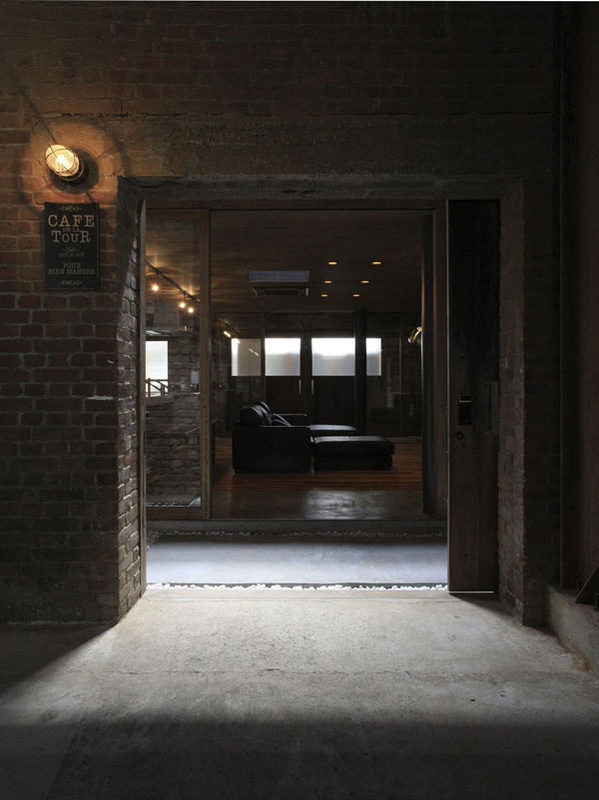 It was uniquely built inside an old brick warehouse in the World War II. This house is called Hiding Place. Actually it was originally a fuel storehouse which later functioned as a work place for the father of the present client. Indeed this has a historical value and the client agreed to the designer’s idea creating this house design. As we can take a look at the building, the designer made use of the steel materials. This is placed in the center of the storehouse with four passages that surrounding it. Also the brick storehouse itself is trussed with wood. The designer said that they utilize the steel to be able to protect the new house in case of occurrence of earthquake which is very common in Japan. 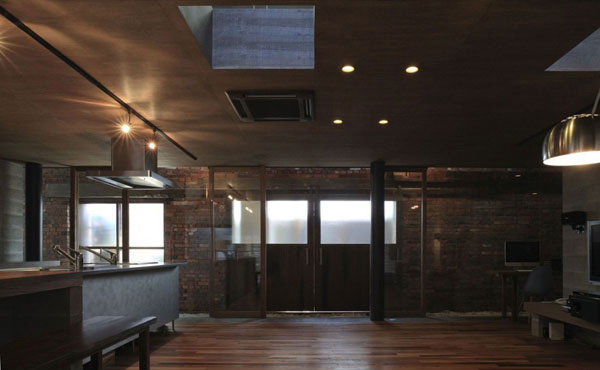 This house is specifically found in Mihara City, Hiroshima Japan which is completed this year. 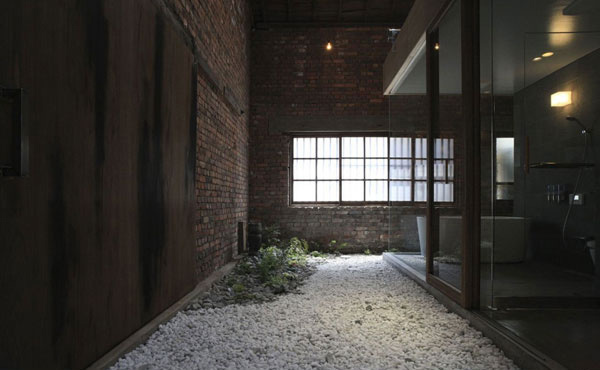 Now let’s take a look how the interior of this old storehouse becomes an effective exterior of this newly built Hiding Place House by just looking at the images below. Notice how the designer made use of this wooden material to come up with a more contemporary and romantic ambiance in this interior. This huge door provides an access to the house built inside the storehouse. You may obviously observe the different textures and lines in the wooden floors and ceilings as well. The dark brown sala set harmonize the color of the ceiling and floor as well as the LED lights installed all over this living area. This silver kitchen is perfectly set in this area where the client can still entertain his guest while cooking. 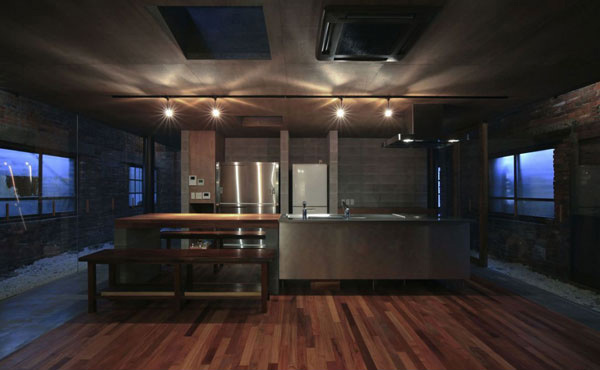 See how the designer combines the texture of the floors with the stainless in the kitchen space. The exterior which is the interior of the storehouse can also display the interior of this Hiding place House because of its glassed walls. As the designer said that privacy is not important for the client anymore since they choose the glass materials for its walls. Outside the Hiding place are LED lights and skylights so that the client may still allow the direct sunlight to access its interior. 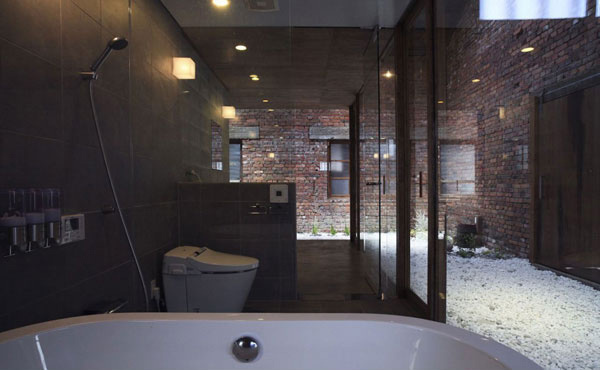 In this area you may see the white bath tub placed in this spacious bathroom. 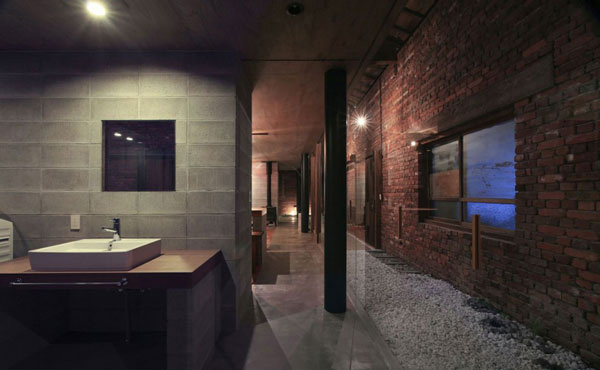 The texture of the bricks seen in the storehouse defines its age and may help to highlight the modern style of this Hiding Place House. The interior may be darker if there is no enough lighting material in the bathroom as well the light from the window every morning. 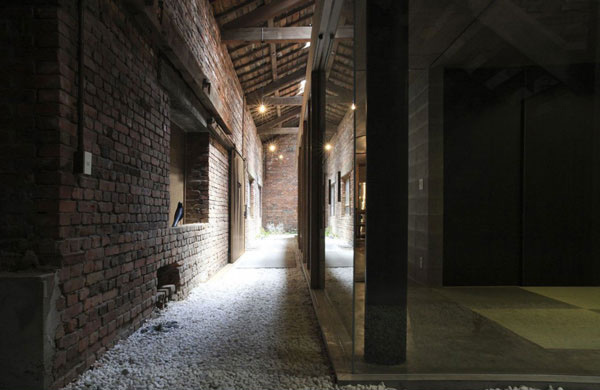 Smooth texture of the glass materials in the walls highlighted the rough texture of the bricks and white stones in the interior of the storehouse. 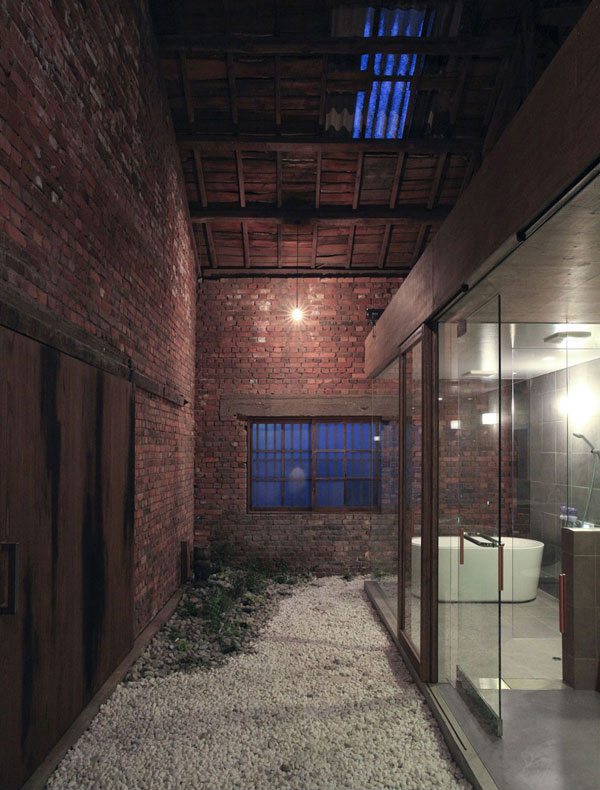 While taking a hot bath the client may easily see the interior part of the storage house to remind him of its privacy. The small gaps from storage house to the newly built Hiding Place House may defines its differences from its concept down to its style. 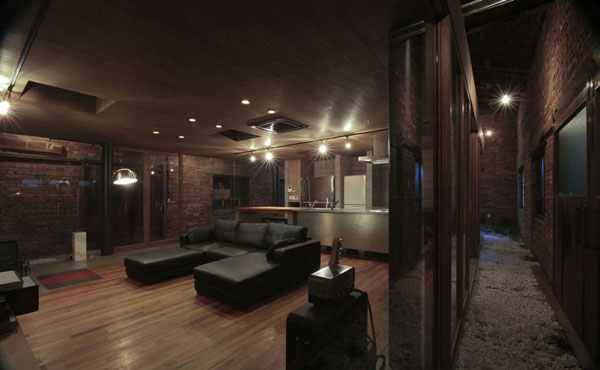 The designer made use of glass walls on every facet since privacy is not a problem in the part of the client. Also they installed skylights in this new house so that they may able to enjoy the aged wooden beams seen in the storehouse with a moderate mixture of light shining into the house. 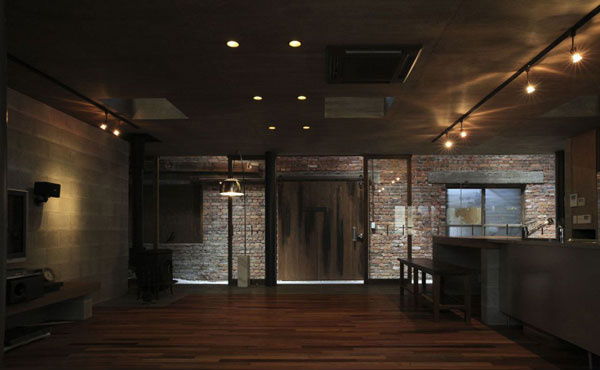 The Afzelia wood flooring with beeswax is also used to complement with the brick walls here. 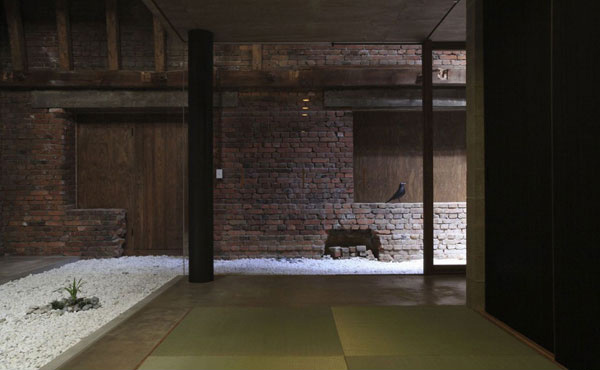 Definitely we can say that the Keisuke Kawaguchi+K2-Design successfully re-invent the concept of building a house inside the storehouse. I would find this home very depressing! 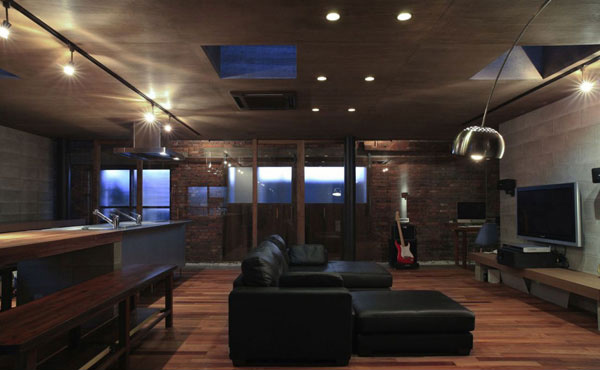 The color of the house is little bit dark but nice design for the house. 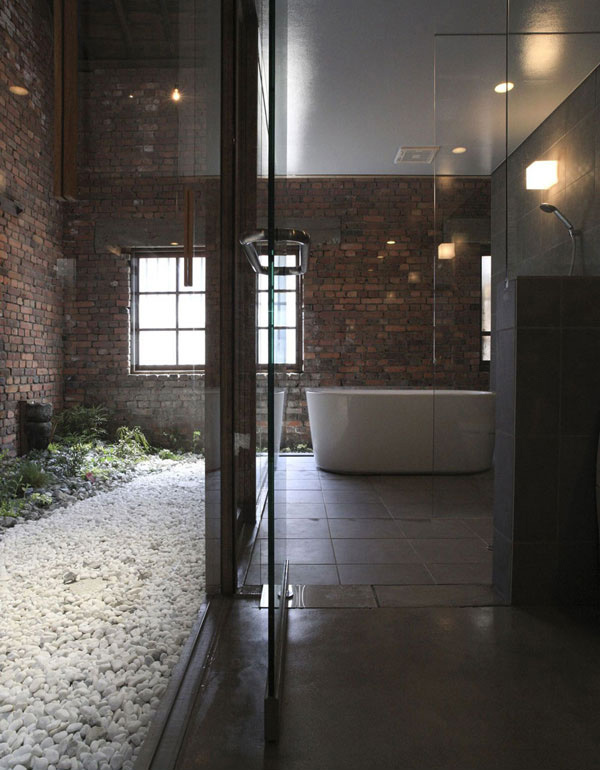 Nice style but on the bathroom area is awkward for me,it’s too showy. 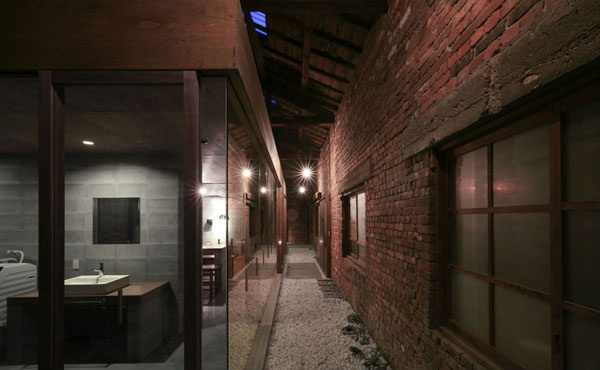 Cool the modern style of the house is hidden inside of the bricks wall of the storehouse..
Is there a bedroom in this house? This idea is truly amazing.